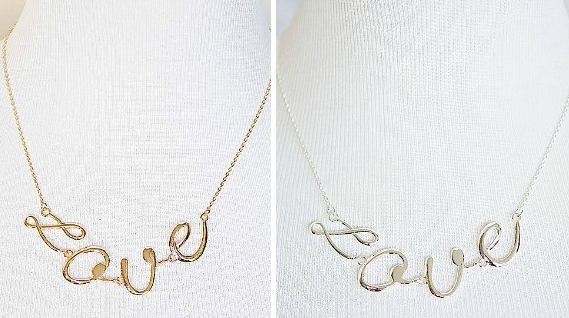 Love Necklace in Gold or Silver only $14.95! You are here: Home / Great Deals / Love Necklace in Gold or Silver only $14.95! All you need is…Love! Get this 14″ delicate chain with 4″ Love pendant in gold or silver for just $14.95! And it comes with simple ball stud earrings! Check out the other great deals at Cents of Style!